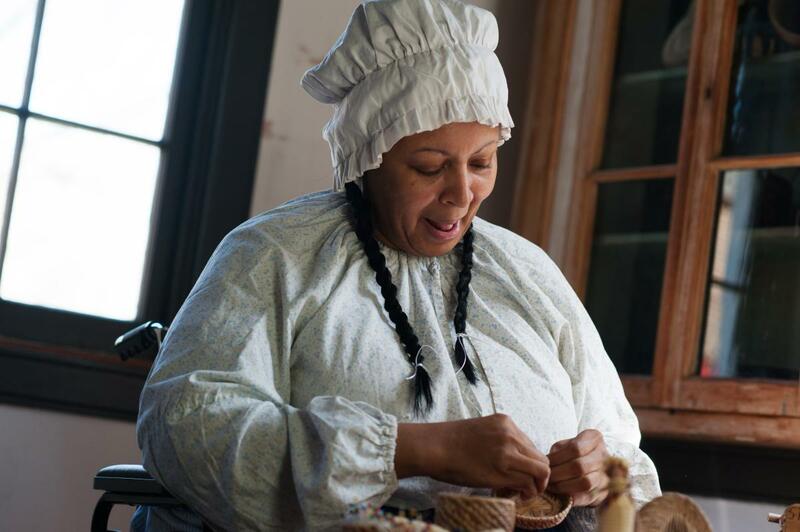 For travelers looking to immerse themselves in a true cultural experience, put Lafayette on your bucket list. 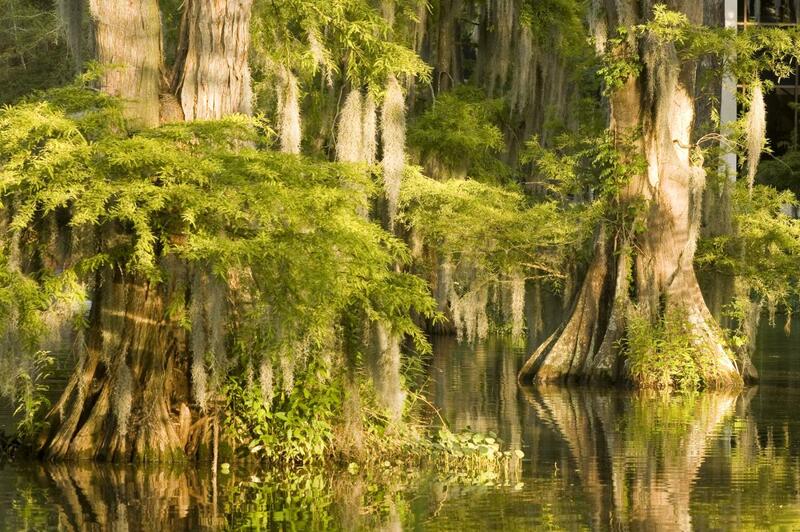 Louisiana’s Cajun Country is one of the most unique places you’ll find in the United States. Among fields of rice and sugarcane, bayous and cypress swamps, you’ll discover authentic music, incredible cuisine and joie de vivre—a genuine joy of life you won’t find anywhere else. Lafayette has been noted by CNN as one of the best places to experience French culture in the United States. The area was settled by Acadians in the late 1700s who were exiled from Canada when they refused to give up speaking French and practicing Catholicism. They found refuge in South Louisiana, and today, their French roots remain strong. Public school children can enroll in French immersion as early as PreK, and high school seniors can receive a Seal of Biliteracy on their diploma. Around town, visitors might hear a distinct dialect of Cajun-French, notice names like Hebert (pronounced a-bair), Boudreaux, LeBlanc, and Thibodeaux, and hear expressions like cher bébé, meaning darling. Every April, Lafayette hosts Festival International de Louisiane, the largest international outdoor Francophone music and arts festival in the country. 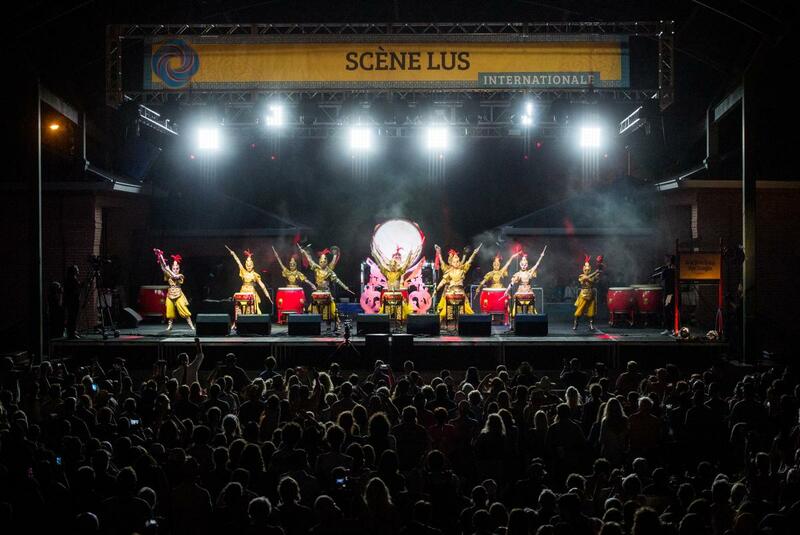 Artists from more than 20 French-speaking countries along with 300,000 festival goers celebrate their French heritage through music, food, and art. Hear an accordion along with a washboard, guitar, and violin, and you know you’re in Cajun Country. Because of its unique sound and proud heritage, Acadiana is fertile ground for local and internationally renowned musicians. Artists like Lost Bayou Ramblers, Pine Leaf Boys, Geno Delafose & French Rockin’ Boogie, The Magnolia Sisters, and Chubby Carrier and The Bayou Swamp Band have all been recognized at the GRAMMYs. 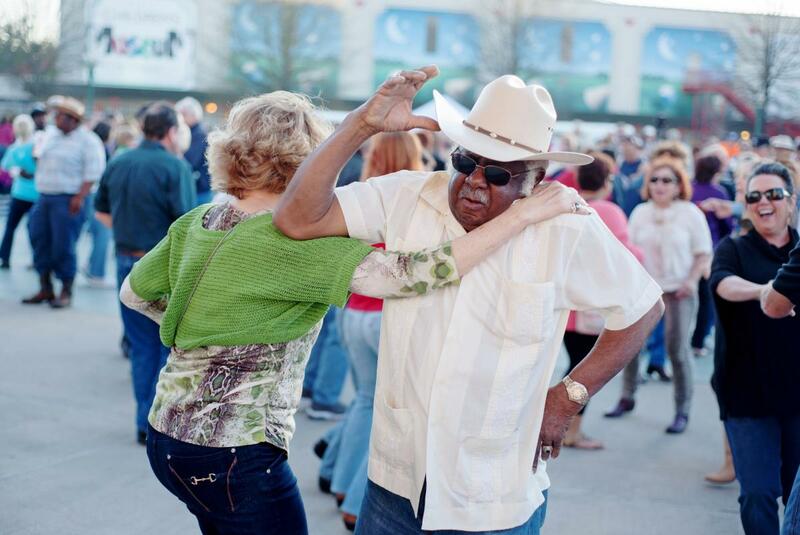 Listen to local music and do the zydeco two-step at local dance halls like Rock ’n’ Bowl de Lafayette, Randol’s and Buck and Johnny’s as well as at Festivals Acadiens et Creoles, the Lafayette Farmers and Artisan Market at the Horse Farm and the Louisiana Crossroads series at Acadiana Center for the Arts. The Atchafalaya Basin is even bigger than the Florida Everglades. Shows like the History Channel’s Swamp People and Discovery Channel&apos;s Naked and Afraid have aired episodes from this mystical cypress swamp that’s home to 250 species of birds, 22 million pounds of crawfish and massive alligators. Legend has it, the swamp is also home to the Rougarou, a French werewolf. If you’re ready to brave the wild, local airboat and kayaking outfitters provide tours along with plenty of storytelling. Cajuns are famous for their cuisine. Not to be confused with New Orleans’ fancy Creole cuisine, Cajun food is good ol’ down-home cookin.’ Most Cajun cooking begins with a mix of green bell pepper, onion, and celery known as the holy trinity. A few Cajun food specialties you must try include crawfish étouffée, jambalaya, rice dressing and chicken and sausage gumbo. One great way to taste a little of everything is on Cajun Food Tours. 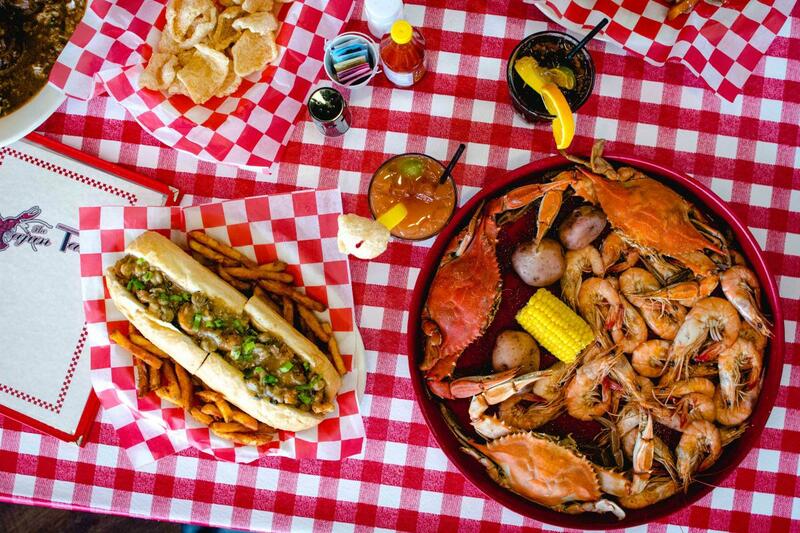 These Cajun food specialties are so good, they deserve their own category. Early settlers in Acadiana did not live high on the hog—they lived off the entire hog! 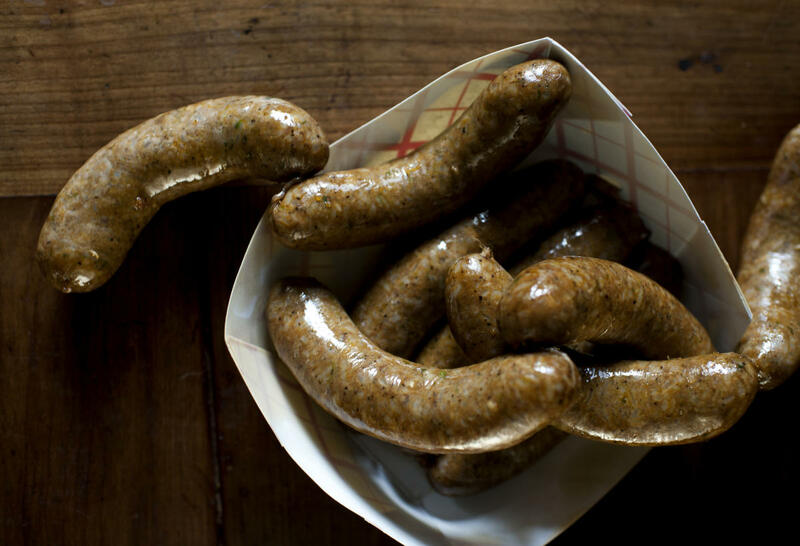 Their resourcefulness led to two great inventions: boudin and cracklins. A pork sausage stuffed with rice, green onions, and seasonings, boudin is served smoked or grilled as well as stuffed into po’boys or king cake. Even better than pork rinds, cracklins are fried morsels of pork fat with the pork skins. The town of Scott, right off Interstate I-10, is the Boudin Capital of the World. Drive to one of the many places like Billy’s (523 Apollo Road), The Best Stop (615 Highway 93 N) and Don’s Specialty Meats (730 I-10 South Frontage Road), and you’ll see a line of tourists, locals, and truckers ready to get their fill. Tabasco sauce hails from Cajun Country on beautiful Avery Island, where founder Edmund McIlhenny first made the world-famous pepper sauce in 1868. Take a tour of the factory and museum or dine in the local restaurant. 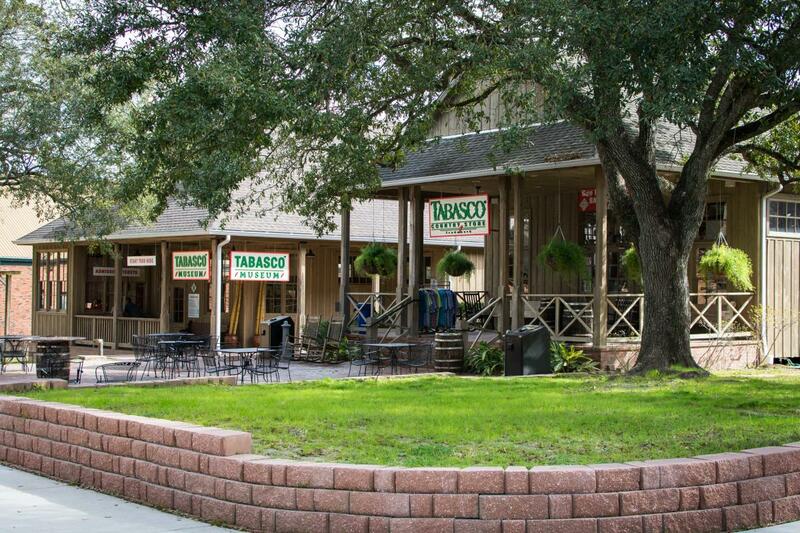 The gift shop is the perfect spot for getting souvenir sauce for friends and family back home. Now with 2,600 franchises worldwide, this fried chicken joint started in New Orleans in 1972. 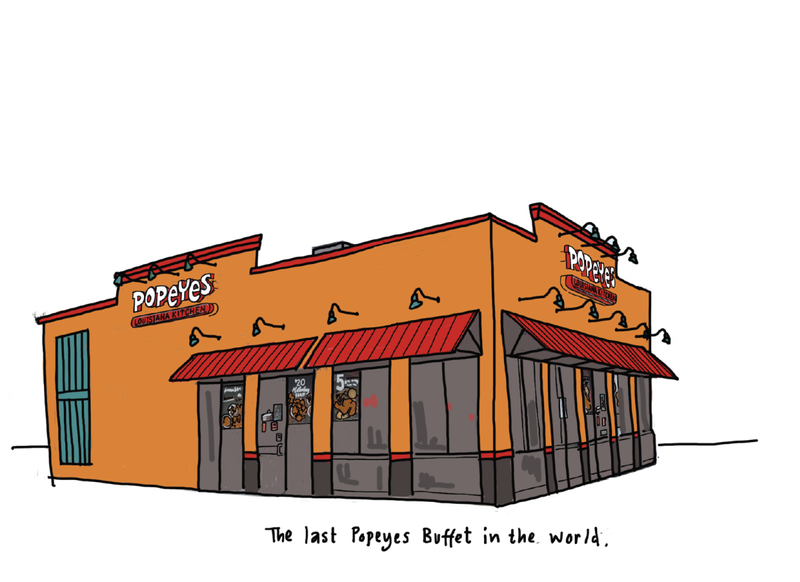 But the world’s only Popeyes buffet is located right here in Lafayette. Here, you can pile your plate high with mild or spicy chicken, buttery biscuits, red beans and rice, mac ’n’ cheese, coleslaw, and mashed potatoes and gravy. In 2018, while in town for his show Parts Unknown, Anthony Bourdain couldn’t get enough of the Popeyes buffet. He dined there for three days in a row, enjoying chicken, biscuits with gravy, and his favorite—their mac ’n’ cheese. The most famous Acadian refugee to the area is Evangeline, who was immortalized in Henry Wadsworth Longfellow’s epic poem. 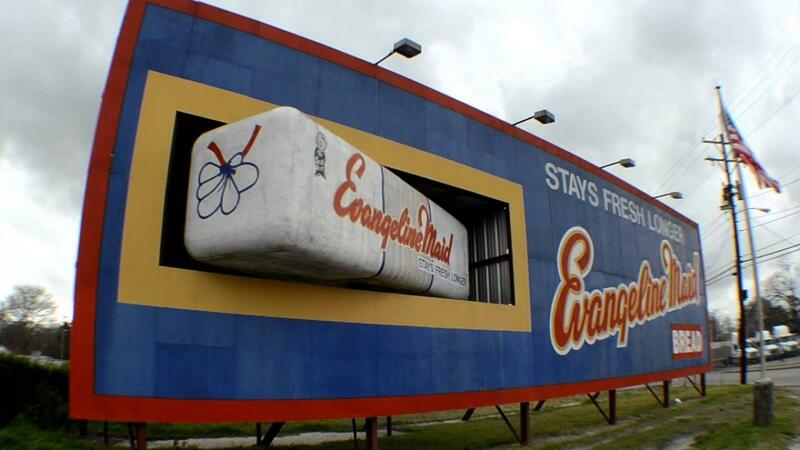 Drive around town, and you’ll see her name on everything from an oak tree and highway signs to a giant billboard with a spinning loaf of bread. Now 100-years-old, Evangeline Maid bread is still produced in Acadiana where some half a million loaves are made each week. Get a photo by the iconic sign and be sure to pick up a loaf of the soft white bread at a local grocer. You’ll thank us later! 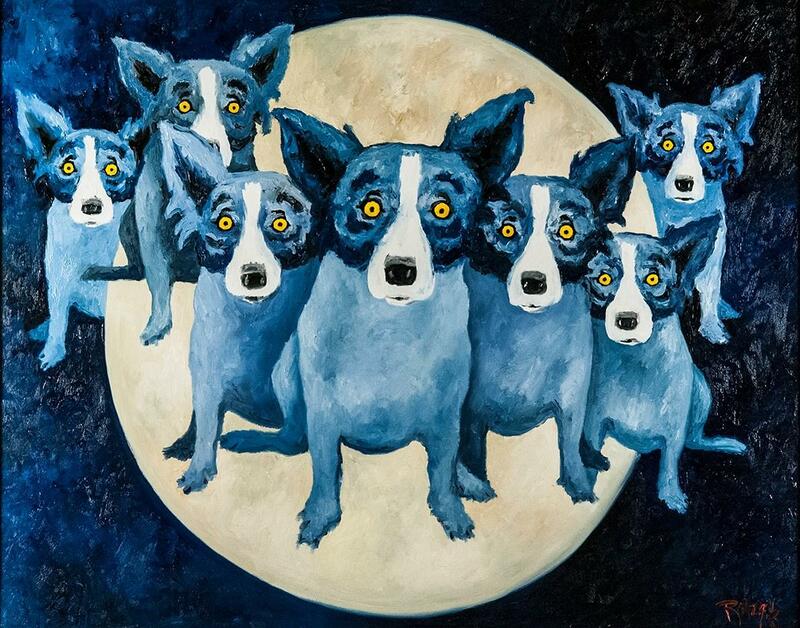 Acadiana’s native son George Rodrigue became famous for his Blue Dog paintings, but before creating the pop-art icon, he documented the distinct Cajun culture through paintings and sculpture. Fans can see his work at galleries in Lafayette, New Orleans, and California, but little know about this hidden gem: his 12-foot monument depicting the poet Longfellow and the reunion of Evangeline and her lost love Gabriel. Rodrigue created The Henry Wadsworth Longfellow Monument in Italy in the early 1980s and had it shipped back home to Acadiana. Carnival is celebrated in cities all over the world, Mardi Gras is popular along the Gulf Coast, but a Courir de Mardi Gras—or Fat Tuesday Run—is unique to Acadiana. The tradition dates back to the fête de la quémande, or beggar feasts, of Medieval France. In Cajun Country, revelers don masks pointed hats and homemade costumes and go door-to-door begging for ingredients to make a communal pot of gumbo. The first home might provide a bell pepper, while the next shares an onion, celery stalk or even a live chicken. 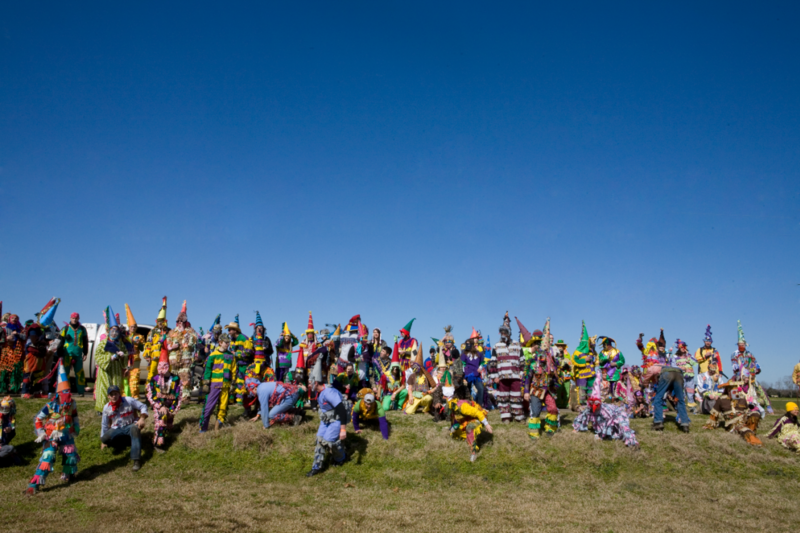 Become part of this time-honored, albeit wild, tradition at spots like Mamou, Church Point, Eunice, and Vermilionville. Dating back to the 1800s, Borden’s became one of the most recognized dairy brands with its iconic Elsie the Cow mascot. Visitors to Lafayette can savor a blast from the past in the very last Borden’s in the world. 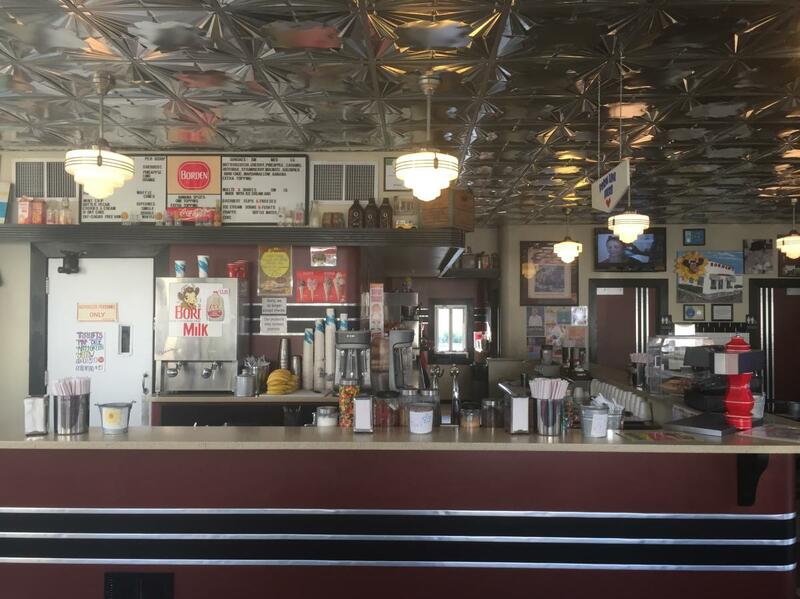 The Lafayette outpost has been a mainstay since 1940 and still serves old-fashioned ice cream malts, shakes, sodas, and scoops as well as ice-cold milk right out of the machine. It’s the perfect ending to a sweet trip to Lafayette.